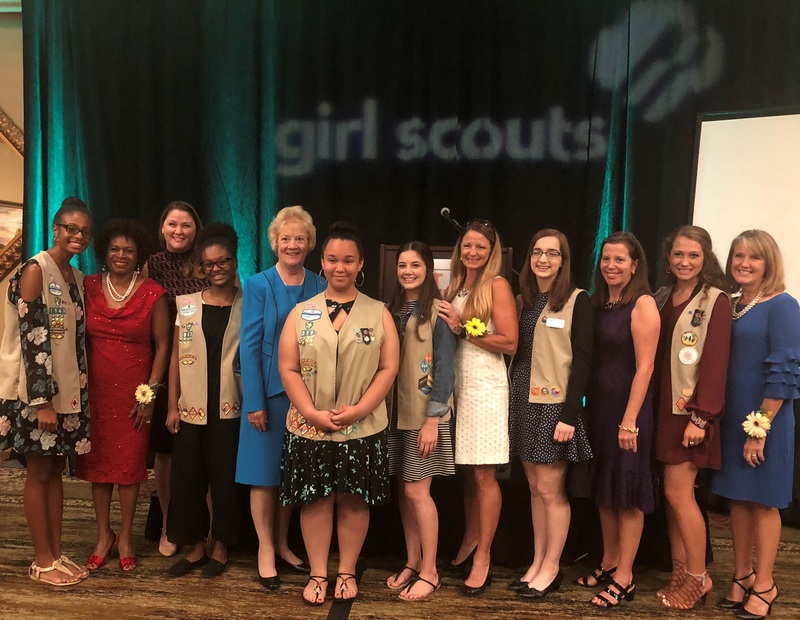 Girl Scouts of Gateway Council celebrated female leaders in St. Johns County committed to making a difference with the Women of Distinction luncheon. The event was held Sept. 27 at the Casa Monica Hotel in St. Augustine. Kelly Youngs, She is Fierce! The honorees were recognized for their personal and professional accomplishments that make them positive role models, inspiring girls to reach their own goals and follow their passions. Each Women of Distinction nominee exemplifies the vision of the Girl Scouts of Gateway Council – to develop a pipeline of local women leaders, emphasizing a lifetime of leadership through skills, experiences and connections. The money raised from the fundraising luncheon goes toward the Girl Scouts of Gateway Council’s Girl Scout Leadership Experience program where more than 10,000 girls in the Northeast and North Central Florida community are able to practice and develop confidence, leadership and responsibility. To learn more about Girl Scouts of Gateway Council and how you can help sponsor the development of next generation female leaders, visit www.girlscouts-gateway.org or contact TriciaRae Stancato at tstancato@girlscouts-gateway.org or (904) 421-3484.